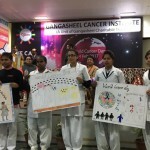 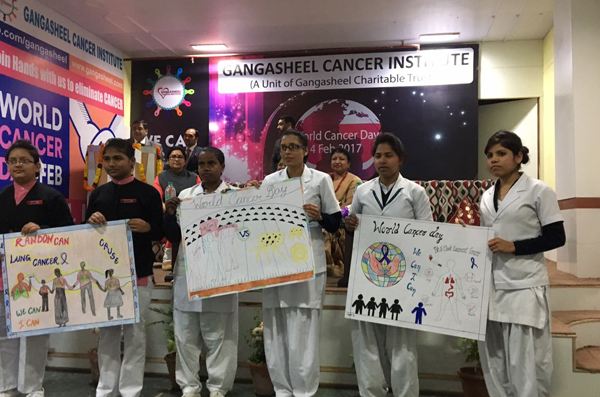 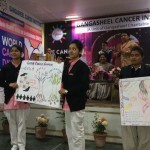 For the promotion of World Cancer Day, the management and staff of Gangasheel organized Cancer Awareness Week from 3th – 10th Feburary’ 2017. 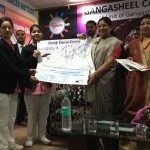 Madam Mrs. Aparna Pandey, Principal SRMS School of Nursing, received the invitation from Mr. Manish Viashnav, Administrative Director, Gangasheel Institute for participating in the poster making competition on 10th at Gangasheel Hospital, DD Puram, Bareilly. 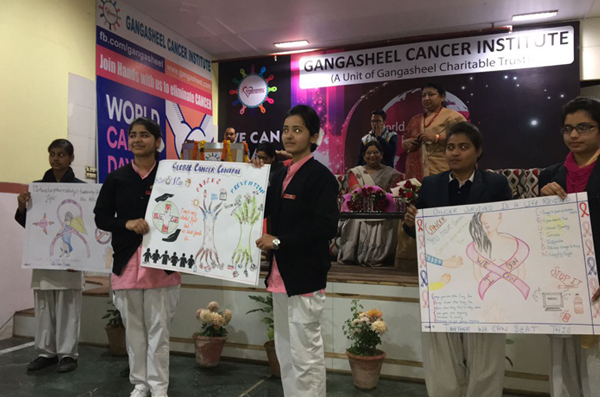 Our ten(10) students (5 teams) along with Ms. Amita C Singh, Vice-Principal, SRMS School of Nursing and Ms. Abhilasha Donald, Nursing Tutor, Cultural Co-ordinator, SRMS School of Nursing went for taking part in the competition. 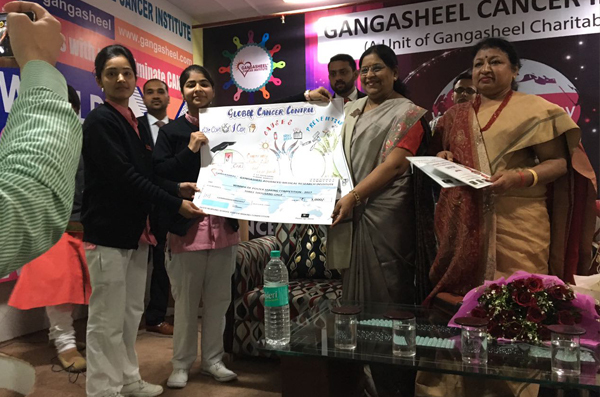 Our students Ms. Sonampreet and Ms. Neha from IInd year, won the first prize of Rs.3000/-.two teams won the consolation prizes and rest got the certificate of participation.